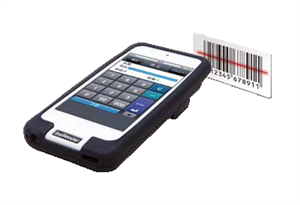 A barcode scanner that can scan most types of 1D or 2D barcodes. Merely attach it to your phone and SCAN! A UHF RFID-tag scanner. Merely click in your phone and SCAN! 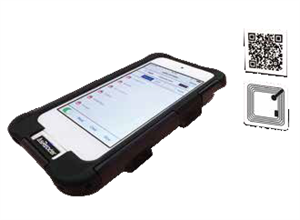 A COMBO-Type scanner that can scan most types of 1D or 2D barcodes, as well as UHF RFID-tags. Merely attach it to your phone and SCAN! 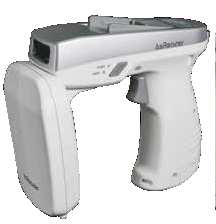 A GUN-Type scanner that can scan most types of 1D or 2D barcodes, as well as UHF RFID-tags. The circular antenna allows you to scan tags in multiple directions quickly. Merely attach it to your phone and SCAN! 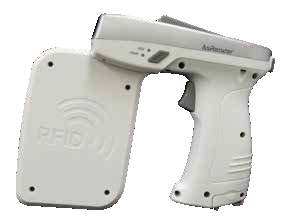 A GUN-Type scanner that can scan most types of 1D or 2D barcodes, as well as UHF RFID-tags. The linear antenna allows you to scan tags at long distances. Merely attach it to your phone and SCAN! 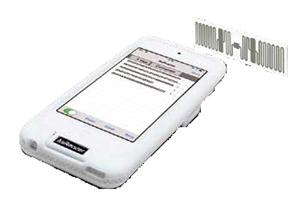 A UHF RFID-tag scanner that is ideal for cash registers, or for registering stock while it is still in boxes. Merely attach it to your computer and SCAN!